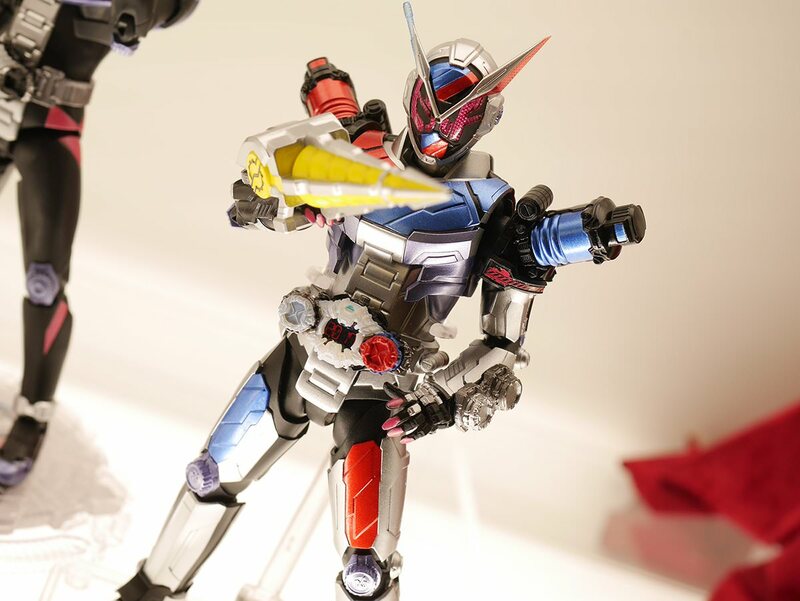 Only recently revealed at Tamashii Nations 2018, the S.H.Figuarts version of Kamen Rider Zi-O's first alternate form, the Build Armor based on 2017's Kamen Rider Build, has been confirmed for release! 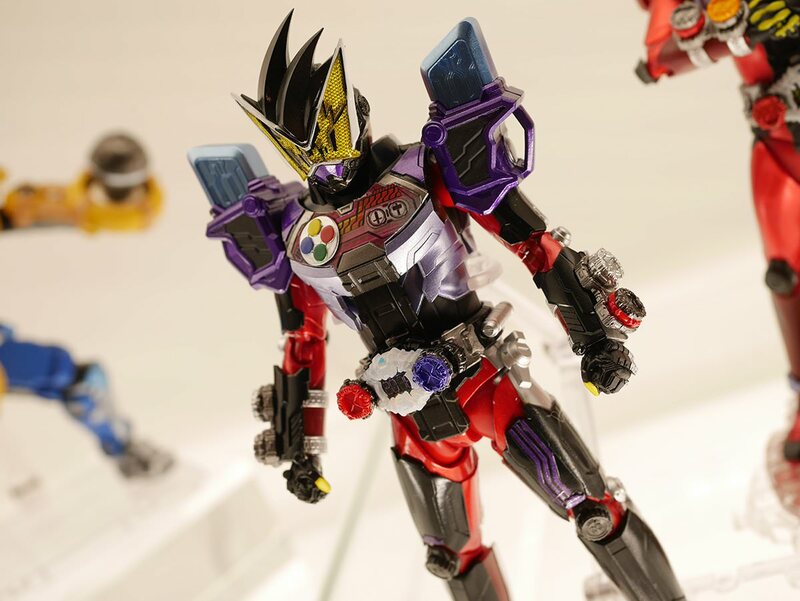 As many people around the community noticed, the prototype on display already had a Premium Bandai-label on its little description card, but now we have a confirmed date for pre-orders from the Tamashii Twitter account. S.H.Figuarts Kamen Rider Zi-O Build Armor will go up for pre-order on the Premium Bandai Webshop this Friday, November 9th in Japan. Price, accessories and release window are unknown at this point, we will learn more as the week progresses. 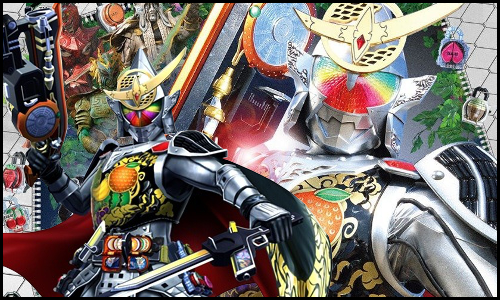 As a little teaser for things to come, it also has been announced that the Genm Armor version of Kamen Rider Geiz has also been confirmed to be released in the future, although no further information was shared yet. I know it's a well-voiced complaint by now, but seeing those Ridewatches unpainted on the belt especially is still very painful to look at. Still, it's really cool we're getting releases of minor forms again. Very true. Considering the tiny things they painted or had stickers before, it's quite the unpleasant sight. No biggie for me as I don’t plan to buy anything other than Zi-O’s main form for now but still. Interesting, isn't it? I thought they were gone too. Maybe it’s because they can easily reuse the sculpts this time, Geiz Genm Armor has parts for Zi-O Ex-Aid Armor and vice versa. This is true. Maybe we'll see a Geiz Build Form? It's no less applicable. It looks horrible on every single Zi-O release. And it's not even that they're unpainted! There's a paint application there to differentiate the faceplate and the back of the Ride Watch. Without an image, though, it's just glaring in a way I don't usually associate with Figuarts. Off the top of my head, I can't think of any modern Rider Figuarts that have done something so cheap-looking with the Driver. On the Gaim Figuarts, you had the tiny images on the Lock Seeds. The Ex-Aid Gashats didn't have an image on them, but it wasn't particularly obvious while they were seated in the Gamer Driver. The figures otherwise have the tiny details I associate with Figuarts: the edges of the Build Armor shoulderpads, for instance, or the painted fingertips of both figures. Maybe it's that the Ride Watches constitute a lot of front-facing surface, and the solid color is glaring? Off the top of my head, I can't think of any modern Rider Figuarts that have done something so cheap-looking with the Driver. The Sparkling can comes to mind, though it was isolated and still had a little more detail than the Ridewatches. Still, it definitely stood out as a flaring omission of detail. It's not my first time bringing it up, but I'll say it's particularly perplexing that the issue is even more widespread now with the Zi-O line, given that they did the Sclashjellies decently. Build Armor is a Premium Bandai exclusive scheduled for May 2019. Of course it's P-Bandai. No thank you. Shame that such nice looking figuarts are ruined for me by the fact that the ride watches have no detail on the faces. If the cards that came with Ryuki can have detail on them then there's really no excuse for the watches. Hell I'd even take a sticker sheet thrown in with the figuarts so I could apply the ride faces to the watches myself.